Lawn Aeration promotes root growth, and is usually done once or twice a year in the fall or spring. Also referred to as core aeration since small cores of dirt, thatch and lawn are removed every three inches or so creating thousands of small holes in your lawn. This helps control thatch buildup and helps root growth where soil is compacted. Also lawn aeration loosens the soil and helps water, air, fertilizer and nutrients get directly to the roots. 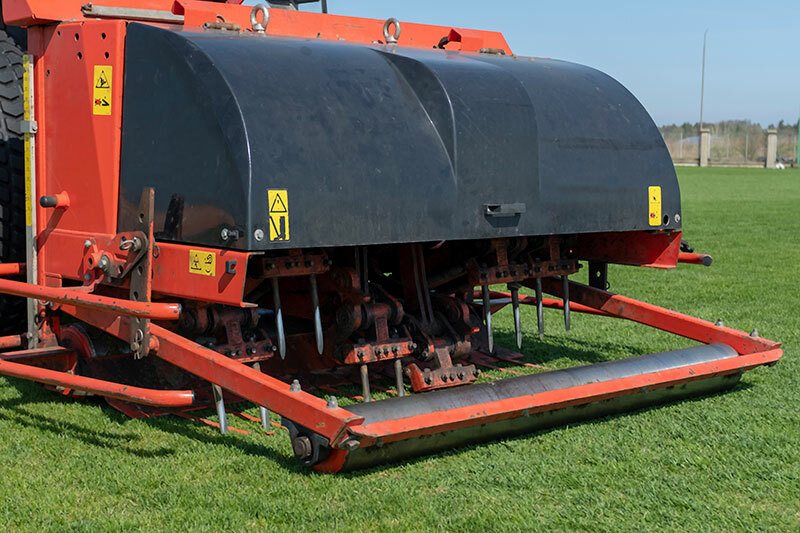 Golf courses aerate their lawns annually, and so should you. For a beautiful lawn year after year, schedule a lawn aeration this Fall or Spring. The cost of aeration is very inexpensive and the job can be completed usually in under an hour. Cutting Edge has been Aerating lawns in Eugene, Springfield and surrounding areas for years, and have many clients on an annual and bi-annual plan. Let us service your lawn, with our affordable Eugene Lawn Aeration Service. If you have any questions or concerns about lawn aeration cost, or methods used contact us today! We are the leading Lawn Aeration company in Eugene, OR. Contact us if you have any questions regarding:. Reasons to Aerate your lawn. When is the best time to aerate my lawn? How much does lawn aeration cost? We schedule lawn aeration in Eugene OR in the Spring and Fall, and it’s best done when yard is fairly dry.